Austin, Texas — Working together, the U.S. Environmental Protection Agency and the Texas Commission on Environmental Quality (TCEQ) continue to coordinate with local, state and federal officials to address the human health and environmental impacts of Hurricane Harvey and its aftermath, especially the water systems in the affected areas. As part of this coordination, a Unified Command was established between the EPA, the TCEQ, the General Land Office, and the U.S. Coast Guard to oversee all emergency response efforts. This Unified Command is supported by three operational branches in Corpus Christi, Houston, and Port Arthur. In addition to the EPA, the TCEQ, the GLO, and the USCG, multiple agencies and groups are supporting each of the operational branches, including the Texas National Guard, 6th Civil Support Team; the Arkansas National Guard, 61st Civil Support Team; the Oklahoma Task Force 1; and the Texas State Guard Engineering Group. Branch personnel are working to continuously monitor water and wastewater systems, as well as conducting hazmat reconnaissance/recovery operations for orphan drums and containers and to assess spills or discharges as a result of the storm. Drinking Water: To date, about 2,238 drinking water systems have been affected by Harvey. Of those, 38 have boil-water notices, and five are inoperable. The TCEQ are contacting remaining systems to gather updated information on their status. Assistance teams are in the field working directly with system operators to expedite getting systems back to operational status. Wastewater and Sewage: The TCEQ has made contact with 1,743 wastewater treatment plants in the 58 counties within the Governor’s Disaster Declaration. Of those, seven are inoperable in the affected counties. The agencies are aware that releases of wastewater from sanitary sewers are occurring as a result of the historic flooding and are actively working to monitor facilities that have reported spills. Additionally, the agencies are conducting outreach and providing technical guidance to all other wastewater facilities in flood-impacted areas. Assistance teams will continue to be deployed to work directly with system operators to expedite getting systems back to operational status. On Sept. 25, 2017, the EPA provided written explanation to FEMA allowing proceeds from State Revolving Loan Funds to be used to address immediate recovery and future resiliency efforts in Texas. The EPA is also reviewing a Texas Water Development Board request that certain water infrastructure projects be exempt from American Iron and Steel requirements. The public interest waiver request from the TWDB is posted for the required 15-day public comment period Exit the TCEQ which closes Oct. 13, 2017. Critical Water Infrastructure: The TCEQ has made contact with the owners of the 340 dams in the impacted areas. There are 17 dams that have reported some type of damage; four of these dams failed. There have been no reports of downstream damage or loss of life. Superfund Sites: The EPA and the TCEQ continue to get updates about the status of specific sites from the parties responsible for ongoing cleanup of the sites. The TCEQ has completed the assessment of all 17 state Superfund sites in the affected area. There were no major issues noted. The TCEQ will continue to monitor sites to ensure no further action is needed in regards to the storm. All 43 Superfund NPL sites in the hurricane affected area in Texas and Louisiana have been assessed. Of these, 42 sites have been cleared. Post-hurricane summaries based on preliminary data are online (www.epa.gov/hurricane-harvey). Quality assured data reports for Superfund sites are being posted online as they are received. The San Jacinto River Waste Pits site requires additional follow up. The EPA received preliminary data from sediment samples collected by the EPA’s dive team from fourteen areas at the San Jacinto River Waste Pits Superfund site. Samples from one of the fourteen areas confirmed the protective cap had been damaged and the underlying waste material was exposed. The sample showed dioxins above 70,000 ng/kg. The EPA recommended cleanup level for the site is 30 ng/kg. The EPA is directing the potentially responsible parties to take immediate action to address damage to the protective cap and high levels of underlying waste material found at one of the samples on site. The EPA has also posted quality assured data collected by the potentially responsible parties on the website. Debris Management: The TCEQ has approved 178 Temporary Debris Management Sites in areas under the Federal or State Disaster Declaration designations. View a map of all Temporary Debris Management Sites. TCEQ regional offices and local authorities are actively overseeing the siting and implementation of debris and waste management plans in the affected area. The EPA, the TCEQ, and Army Corps of Engineer field observers are visiting staging and landfills to ensure compliance with guidelines. The EPA has participated in over 200 joint site observations and expects to conclude its activities next week. EPA observers have reported that the TCEQ is providing onsite compliance assistance and follow-up visits to confirm compliance with permits. The TCEQ plans to conduct site visits as long as approved debris staging areas are processing debris and transferring debris to landfills. EPA Community Liaisons continue to provide federal and state guidance and best practices to thousands of individuals that are dealing with potential hazards in damaged or lost homes. The TCEQ and the EPA released Handling Debris during Natural Disasters fact sheets in English, Spanish and Vietnamese. Reconnaissance/Orphan Containers: The TCEQ continues to lead in monitoring facilities that have reported spills. Unified Command has completed initial hazmat reconnaissance and recovery activities associated with hurricane impacts. Orphan containers, which include drums and tanks, found floating in or washed up near waterways continue to be gathered, sorted and grouped by type, prior to shipping them off for safe, proper treatment and disposal. All branches of the Unified Command have collected over 1,088 orphan containers and have responded to approximately 266 reported spills or discharges. USCG and the Texas General Land Office will continue to complete Vessel Recovery activities. Air Quality Monitoring: One of the many preparations for Hurricane Harvey included the EPA, the TCEQ, and other monitoring entities temporarily shutting down several air monitoring stations from the greater Houston, Corpus Christi, and Beaumont areas to protect valuable equipment from storm damage. Since then, state and local authorities have been working to get the systems up and running again as soon as possible. As of Friday, Sept. 29, the TCEQ’s air monitoring network is 100 percent operational. All measured concentrations were well below levels of health concern. Both TCEQ and EPA investigators have spent numerous hours, both day and night, monitoring neighborhoods and industrial fence lines with hand-held instruments, such as optical gas imaging cameras (OGIC), toxic vapor analyzers, summa canisters, and portable multi-gas monitors. The use of these tools allows for the most effective source identification for drifting volatile organic compound (VOC) plumes so that swift action can be taken to address the cause of these emissions. TCEQ investigators in the Houston, Corpus Christi, and Beaumont regional offices routinely conduct reconnaissance monitoring near industrial fence lines and adjacent communities. Reconnaissance monitoring has been conducted in these areas with increased frequency to identify potential emission sources. In furthering efforts to monitor storm impacted areas and address emission sources, the TCEQ conducted aerial surveys in the Houston and Beaumont areas using a helicopter equipped with an OGIC that can image VOCs and other hydrocarbons invisible to the eye, and the EPA’s Airborne Spectral Photometric Environmental Collection Technology (ASPECT) plane conducted real-time sampling of potential emission targets. Additionally, the EPA completed air quality analyses using their Trace Atmospheric Gas Analyzer (TAGA) mobile monitoring system. The results from continuous air monitors, hand-held instruments, ASPECT, and TAGA have shown no levels of immediate health concern and summary information is available at www.epa.gov/hurricane-harvey Exit the TCEQ. The EPA has completed its air monitoring activities, and both TAGA and ASPECT have been demobilized. 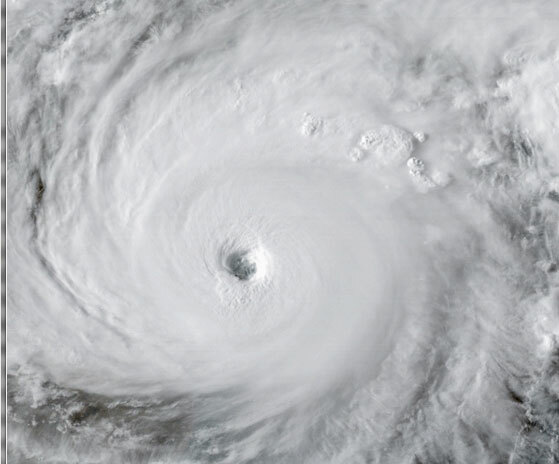 For additional information, visit the TCEQ’s Hurricane Response website at https://www.tceq.texas.gov/response/hurricanes/hurricane.html.